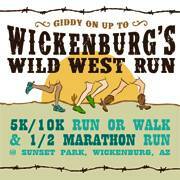 Wickenburg’s Wild West Run is hosted by Champions of Wickenburg Youth (COWY), a 501(c)3, charitable, non-profit organization. We at COWY believe the future of success is found in the hands of the next generation. Sports and other youth programs help guide our boys and girls to develop principles of hard work, dedication, and endurance. The traits these young people gain from participating in sports, music, and other youth programs will not only help them be better students, but eventually prepare them to be better parents, citizens, and leaders. As such, we are focused on helping local youth programs develop safe and effective opportunities for young people. Having gradually ascended above the town, the turnaround gives participants a picturesque view of the town and it’s surrounding beauty. 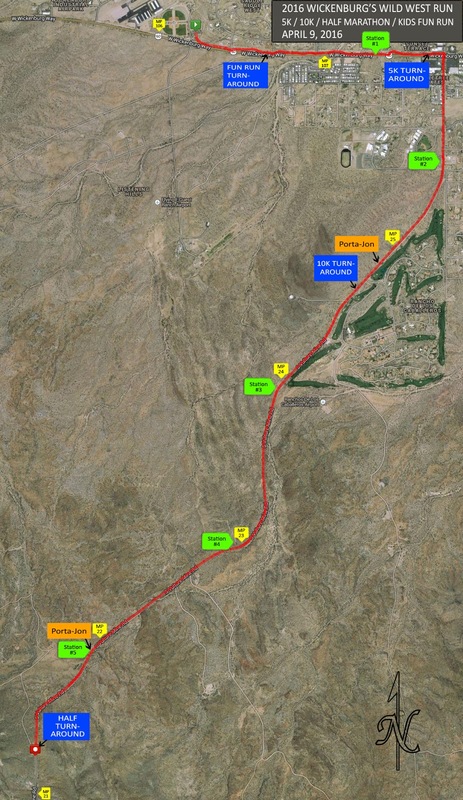 You won’t find a more beautiful run in all of Arizona. So enjoy the run while you’re out, but ya’ll come back for a wild west finish of fun at Sunset Park. Race timing will be provided by Race Timers using a disposable timing chip. Results will be displayed at the finish line moments after the runner finishers, results will be also available during the event online.